At Archers Capital, Michael works with private owners, banks, and partners to identify high quality off-market assets in commercial real estate and business opportunities. Working with qualified investors from around the world, he manages transaction execution to ensure high levels of confidentiality and a smooth transition. He has completed $10M+ deals in office buildings, redevelopment projects, manufacturing businesses, and agricultural land. Prior to Archers Capital, Michael founded an IT solutions firm in 1999 that serviced the networking infrastructure and security needs of venture-backed firms in the Silicon Valley. Over 8 years, he led the firm to over $11 million in annual revenue and grow its customer base to include the US and foreign governments and major organizations such as the United Nations, Boeing, and Time Warner. 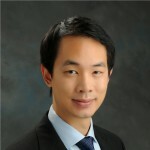 He completed his MBA at the Marshall School of Business at USC with concentrations in finance and entrepreneurship. Since 2011, he closed over $48 million in deals. 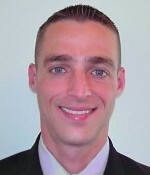 Michael is a California-licensed broker (DRE# 01886927) and holds FINRA Series 63 and 65 licenses. Ryan is the resident expert in the food, nutrition, health and wellness space, with an extensive background as an advisor to C-Level executives. He specializes in analyzing market trends to identify untapped growth sectors, optimize commercialization plans, and form strategic alliances. Prior to Archers Capital, Ryan worked as a strategy consultant for the high tech and life sciences industries where he specialized in new product development and launch strategies for advanced technologies. He has advised a variety of small to mid size companies through the development and implementation of marketing programs, go-to-market strategies, and fund-raising initiatives. Formerly, as President and CEO of Kessel Transport, Ryan provided transportation/logistics services to an array of national organizations, as well as disaster relief services for hurricane Katrina, Wilma, and Rita. His clients included multiple municipalities, Waste Management, and Sims Metal Management, the world’s largest scrap metals company. Ryan holds a BS in Disease Prevention from the Keck School of Medicine at the University of Southern California, and an MBA from the Marshall School of Business. While completing his MBA, Ryan was hired by the Executive Management of Bumble Bee Foods to identify operational improvements. Ryan has received multiple Dean’s List honors and was awarded a research fellowship at the Institute for Disease Prevention Research. In 2010, Ryan advised on transactions valued at over $30 million and in 2011 successfully closed a deal in the consumer branded products sector as a buy-side advisor. Ryan is a California-licensed broker (DRE# 01895855) and holds the FINRA Series 63 license. With a B.A. in physics from the University of Chicago and an M.S. in electrical engineering from Stanford University, Tina spent 14 years at the networking industry’s dominant company. After several years as an engineer, she became the product manager of a $5 billion business unit. At Archers Capital, Tina brings her rigorous project management approach to analyze investments in commercial real estate and business opportunities. Tina manages off-market deals in distressed bank portfolios. 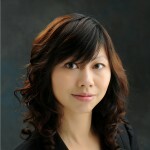 She is fluent in Cantonese and Mandarin and services private investors from Asia, including China, Taiwan, Singapore, Macau, and Hong Kong.